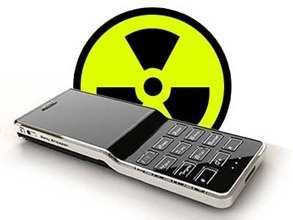 Now, mobile handsets will be forced to show its radiation levels! Recently World Health Organization released a study which showed that Mobile phone radiation levels increased the risks of having Brain Tumour. Although, this report has been squashed by Mobile manufacturers and Cellular Associations, it has raised some serious red flags among consumers as well various Government bodies. India has a huge mobile market, second only to China – If the WHO study has even some truth in it, it is case of serious concern for Indians. Additionally, India has some of the most relaxed norms in the world, when it comes to handset radiation levels. It is quite surprising that even though the mobile revolution started more than a decade back (even earlier globaly), this particular aspect has never really raised much alarm. It is for the first time, that authorities talking about it quite seriously. Indian Union Minister for Communications and Information Technology, Shri. Sachin Pilot recently announced some very strict measure to ensure that consumers are aware of the mobile radiation related health issues. The Group has proposed revising the limit of 2 watts per kilogram averaged over 10 grams tissue to 1.6 watts per kilogram averaged over 1 gram tissue. Mandatory declaration of radiation level on each mobile handset. Radiation norms which are ten times as strict as the existing ones- from f/200 watts per square meter to f/2000 watts per square meter have been recommended. Earlier, necessary amendments were carried out in the Access Service Licenses in 2008 mandating self-certification radiation levels of towers to ensure compliance with WHO-endorsed guidelines of International Commission for Non-ionizing Radiation Protection (ICNIRP) adopted by India Each instance of non-compliance carries a penalty of Rs.5 lakhs. Motorola seems to be the main culprit when it comes to high radiation levels with 9 out of top 20 handsets being Motorola. Also, if you are one of those Chinese phone users – you have to be more careful, as they are known to have much higher radiation levels than branded Mobile handsets! No income tax return filing upto Rs. 5 Lakh earnings! DoT Launches Tarang Sanchar Portal To Track Mobile Tower Radiations! Vodafone Will Invest Rs 3,000 Crore in West Bengal Over the Next 3 Years! Very good, I suffered so much from my mobile phone, no one could understand why. One has to use them less else one can expect health issues. Thanks a lot to Mr. Arun Prabhudesai for sharing the good news and for helping us progress and get aware about our environment and how to protect ourselves better. We are talking about the handsets here. What about the people who are inviting/chasing the mobile operator companies to install mobile tower/mast at their houses/buildings in order to make some rental income. I would be really worried to live anywhere in the vicinity of those devices to be honest.